Recently, Microsoft have been making a larger effort to push XBOX games and their accompanying online service across multiple platforms. It has now been confirmed the latest systems to receive XBOX Live capabilities will be those running iOS or Android. An all-new software development kit from Microsoft is what makes this cross-platform incorporation possible. The integration will allow game developers to choose the elements of XBOX Live they wish to see incorporated into their games, all connected by a player’s Microsoft account. These could be achievements, Gamerscore or any other settings one might have applied to their account. A key difference here, then, is that any developer now has the ability to merge their games or apps with Microsoft’s XBOX Live capabilities should they use their new software development kit – previously this was limited only to games published by Microsoft. Evidently XBOX Live is becoming increasingly connected to a multitude of platforms – and by extension closely tying together those playing on them. iOS and Android functionality was teased by Microsoft last month – but a third system, the Nintendo Switch, was also listed to receive XBOX Live capabilities soon. Speaking to The Verge, Microsoft’s gaming cloud chief Kareem Choudhry stated “Our goal is to really unite the 2 billion gamers of the world and we’re big fans of our Xbox Live community, but we don’t have any specific announcements as it relates to Switch today”. 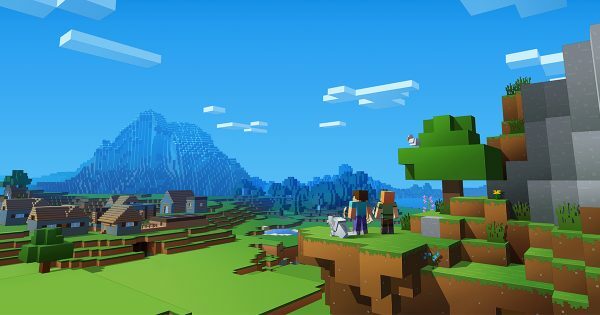 One can technically already connect to XBOX Live on the Nintendo Switch when playing Minecraft, yet it does not appear anywhere else on the system. Time will tell whether this marrying of the Nintendo and XBOX online services will occur, but Microsoft’s quest to blanket XBOX Live across as many platforms they can is certainly one to keep an eye on.